This deal does not appear to be working - sorry! 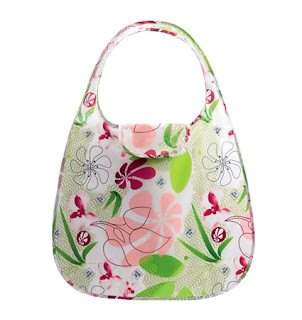 Yves Rocher is offering up this cute Eco Shopping bag and a FREE gift. You can choose between sunglasses, a watch, or shower gel. Final cost will ONLY be $0.45 + FREE shipping! Click on "see my shopping bag"
Total will be .45 with free shipping! Now create an account and checkout! Thanks for my friend Rachel and Hip2Save for sharing this deal! This didn't work for me, sorry. It said: The minimum amount in order to use your coupon is 15 dollars. Same here: "The minimum amount in order to use your coupon is 15 dollars." Worked for me. I got two bags and free pair of sunglasses for 90 cents!! Awesome! I did it earlier this morning, though. They must have changed the minimum purchase now. I got my order in, etc. Got a confirmation email. Then an hour later I got a cancellation notice. Apparently they were not happy with the deal!